With just two games left in the season against first and second places, the task was never going to be an easy one as we took on second placed Camberley. Despite Camberley fielding a mainly year 9 team, with a couple of giants included, the girls were undaunted and really up for it; they wanted to win to try to keep our league hopes alive, taking the game to Camberley from the off. Despite a strong start hopes were quickly dashed as in the 6th minute Camberley were awarded a short corner. The ball was pushed wide of Josie and despite the best efforts of AB manning the post, the ball cluttered in to the back of the goal. Andover dove on gaining in confidence despite the deficit and pressured hard. This pressure was soon to be rewarded as Liv brought the teams even in the 16th minute managing to get the ball past the keeper after a mass melee on the goal line. 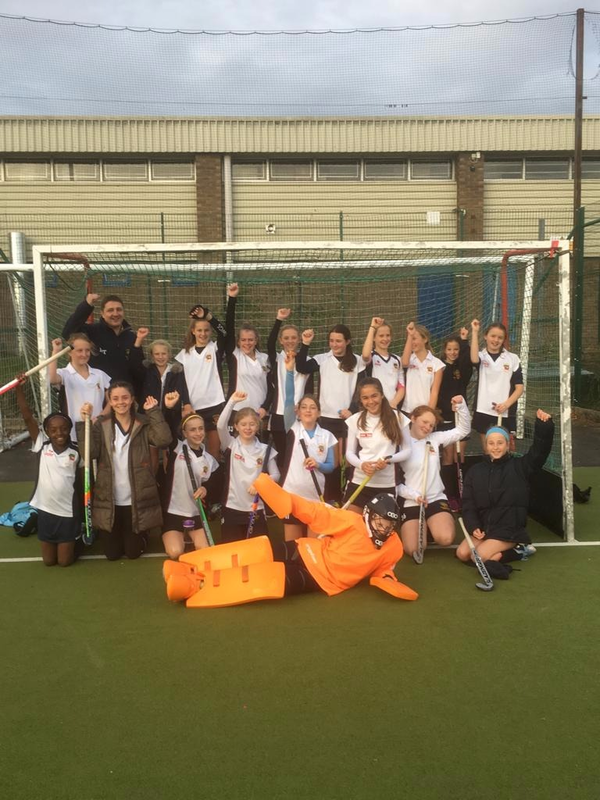 The match continued end to end with Andover playing some of their best hockey of the season. The defence held strong with a solid performance across the piece and several players delivering their best performances of the season. The attack pressed hard time after time but despite numerous changes just could not capitalise on their superior performance. At times the Camberley D was packed with the entire Camberley team along with half the Andover team fighting it out chest to chest. For the older generation the arcade game “Brick breaker” may well bring back memories, as at one point Andover hit ball after ball at the Camberley keeper pads reminiscent of the “Brick breaker” game hoping that somehow the ball might finally break through the pads of the keeper, but it never did. The girls put in such an amazing effort across the field in what was the best most balance performance of the season so far. With one game left to go we can all be very proud of the efforts the girls have put in across the season and in how well they have developed. It bodes exceptionally well for next season where we will be primarily the older girls for a change. Player’s players were once again T and Josie, but there were outstanding performances from everyone but in particular Amilie Bolam really found her form defending like a demon possessed.